‘Jubatirtha’ – an organization with several youths forming its core members, has been playing a vital role in the cultural arena of the State. The organisation has stressed the need and willingness to collect, preserve, promote and foster old Assamese songs, long vanished in the midst of years. With that view, Jubatirtha has been making an organised effort and endeavour of collecting and preserving our traditional Bongeets for quite some time now. The pioneering architect of this tradition, Bonkonwar Anandiram Das elevated the course of Assamese music with pure words and standard expression, employing the pastoral convention to express authentic ideas and feelings of humanity, within a naturalistic world. He has penned well over a 1000 Bongeets, which have not only enriched our music but also reflected the uniqueness of Assamese culture. The endeavour to preserve traditional songs for posterity led Munindra Kumar Saikia to release ‘Bhodiya Luitor Dhol’, an album, comprising of eight Bongeet songs, recently. Produced by Sanchita Saikia under the banner of C.D.S. Creation, the album was released amidst an august gathering at the Guwahati Press Club. The songs with their intrinsic value and beauty were rendered by Munindra Kumar Saikia, along with his better-half Dr Anamika Deka. 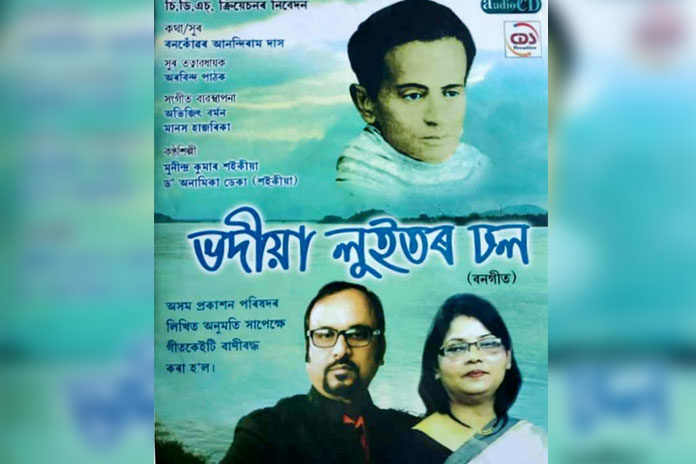 Composed by noted musicians Manash Hazarika and Abhijit Barman, ‘Bhodiya Luitor Dhol’ contains a feast of musical delights like ‘Sa O’ Boliya’, ‘Pawe Sai Katila’ and ‘Nibinabi’, among others, which is likely to touch the hearts of many listeners.